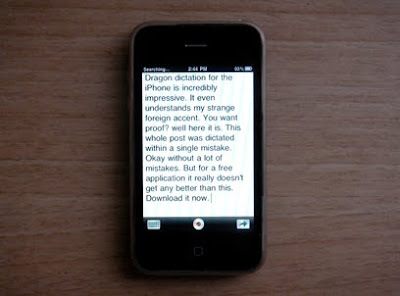 The new Dragon Dictation app for the iPhone is incredibly impressive. It even understands my strange foreign accent. You want proof? Well here it is. This post was dictated within a single mistake. Okay, without a lot of mistakes. But for a free application it really doesn't get any better than this. 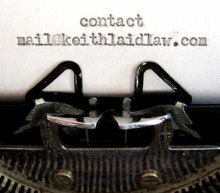 Download it now (before you have to pay for it).